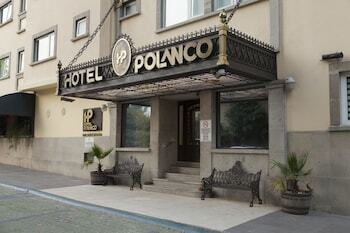 With a stay at Hotel Polanco in Mexico City (Polanco), you'll be steps from French Embassy and 13 minutes by foot from Chapultepec Park. Featured amenities include a 24-hour business center, dry cleaning/laundry services, and a 24-hour front desk. When you a stay at this condo in Playa del Carmen, you'll be next to a golf course, within a 5-minute walk of Quinta Avenida and Playa del Carmen Main Beach. Limited parking is available onsite. With a stay at 202 Hostal - Hostel in Puebla (Historic Center), you'll be steps from Bello Museum and 4 minutes by foot from Profetica. The front desk is staffed during limited hours. With a stay at Elements of the Island in Isla Mujeres, you'll be within a 5-minute walk of Norte Beach and Cocal Beach. With a stay at Departamento Inglaterra 5 in Guadalajara, you'll be within a 10-minute drive of La Minerva and Expo Guadalajara. Free self parking is available onsite.